Since our last Community Partnerships Program update, we've welcomed four more groups as Community Partners. That brings us to a total of 25 associations represented. The Community Partnerships Program gives real estate appraiser organizations tools to grow their ranks, reduce member and operating costs, and increase visibility. This is done through a la mode discounts for members, affinity partnerships that donate a portion of member purchases back to the organization, partnered education courses, sponsorship of organization events, and more. Leaders of appraiser organizations, coalitions, or grassroots movements can learn more about the program and apply at www.alamode.com/community. We talk with appraisers all the time about why they chose TOTAL over their previous software. Here are three reasons ex-ACI users say they switched. Any of these sound familiar? TOTAL is rock solid and gets better with every update. And, thanks to the built-in Feedback button, we're constantly adding new, customer-requested features that actually help your bottom line. Plus, since you can import UAD XML into TOTAL, you're not leaving your ACI files behind. Check out the video below to see how it works. We're distributing this press release announcing the new appraiser coalitions and organizations that are receiving our financial and logistical support through our Community Partnerships Program. Learn more about our Community Partnerships Program here and look for more partnership announcements soon. If you're not a customer, ask your vendor what they're doing to advocate for and support appraisers like you. 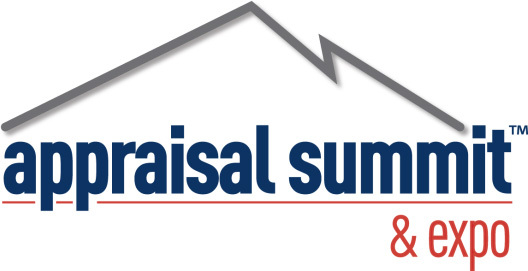 Did you know we're hosting a day of training at next month's Appraisal Summit & Expo in Las Vegas? Join us November 12th for "Developing Compliant Reports Using TOTAL." RSVP here for just $99 (or free for Elite customers). This is one of the popular courses we've been teaching across the country as part of the Modern Appraiser Roadshow. It covers everything you need to know to upgrade to TOTAL — our latest forms platform, which is included free as part of your Membership. We'll show you how to start a report, speed up formfilling and addenda writing, work with comps, photos, and maps in less time, and more. Plus, it's approved for up to seven hours of CE in 17 states. Learn more here.